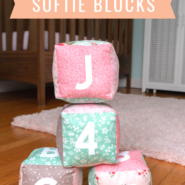 Make your own soft baby blocks in under an hour with a Cricut Maker! 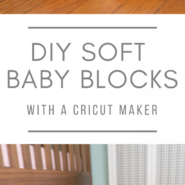 Quick and easy to make, and a great gift for any new mom! 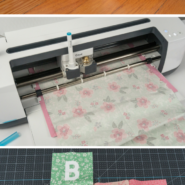 Earlier this week I shared a post on how to cut fabric with a Cricut Maker, and I used my Maker to cut squares out of some pretty floral fabrics. 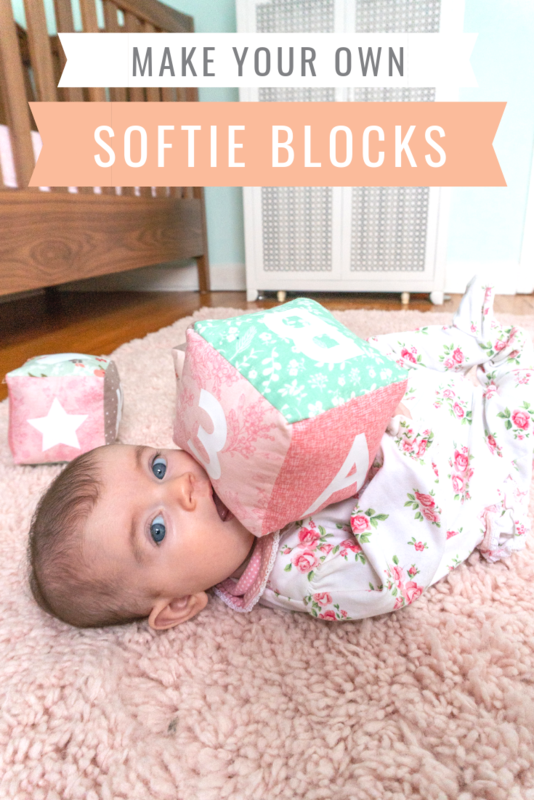 Today I’m going to show you what I made with those squares: adorable homemade soft baby blocks for our baby girl! I really love using my Cricut Maker to cut fabric! 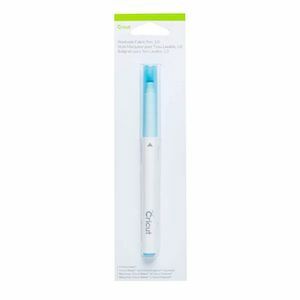 The rotary blade is seriously amazing, cutting as it rolls just like a standard handheld rotary cutter, except it’s way smaller and machine-controlled, so it’s way more precise. 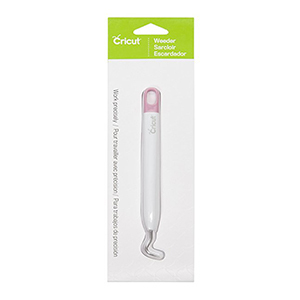 It can turn within a quarter of an inch to cut through hundreds of different fabrics, which allows you to cut intricate shapes and patterns with accuracy that you can’t get with scissors. 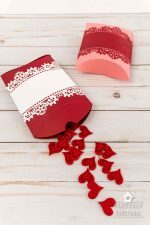 It can even cut multiple layers at the same time, which is great if you’re making multiples of the same pattern, or if you want to fold your fabric and cut it out on the fold. 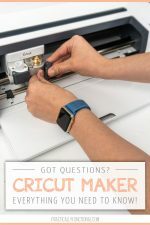 All you have to do is choose from hundreds of sewing patterns in the Cricut library (including Simplicity patterns and Riley Blake Designs patterns), then flawlessly mark your fabric and cut it with your Cricut Maker. And you get to do the fun part: sewing! 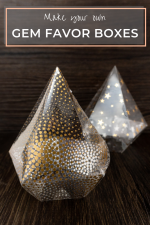 This is the pattern in Design Space that I used for this project. 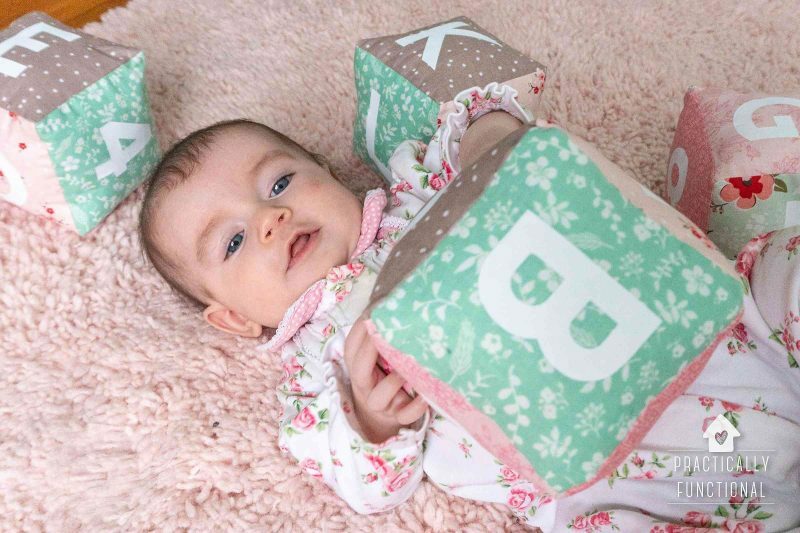 It makes four soft baby blocks with letters and numbers on each side of the cubes. 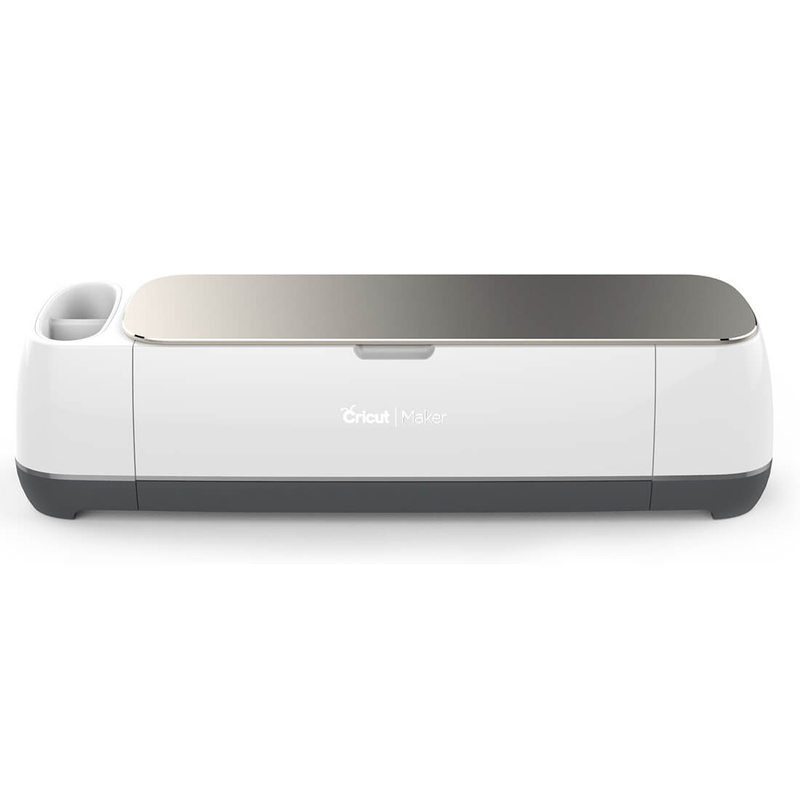 Start by opening up the project in Design Space. 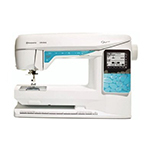 Click the green Make It button to send the pattern to your machine. 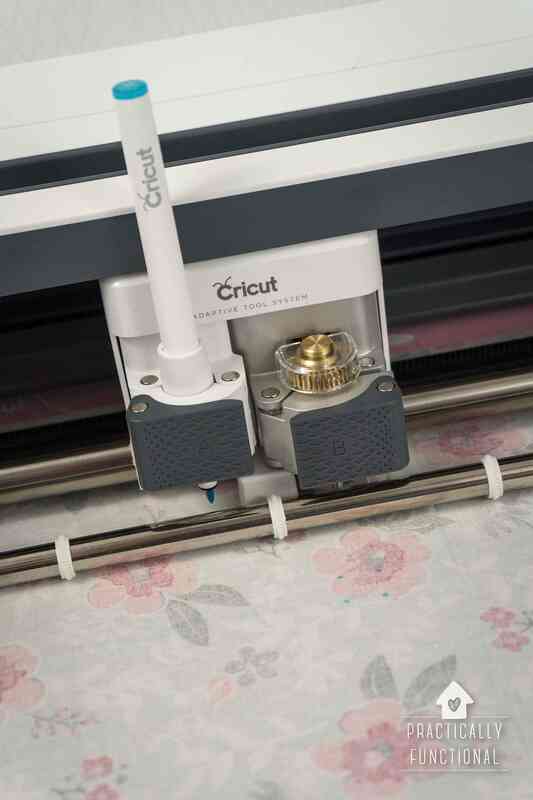 On the Prepare Mats screen, make sure that the mat containing the letters and numbers is mirrored (toggle the “Mirror” switch on) because you will be cutting that mat out of iron-on, and iron-on always needs to be mirrored before cutting. 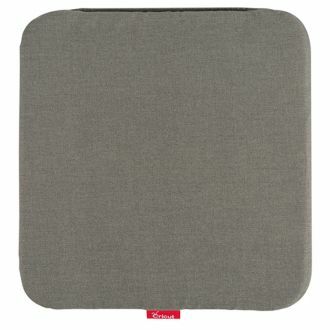 All the other mats are fabric, which normally also need to be mirrored, but since the cuts are perfectly square in this pattern, it is fine to leave the Mirror switch turned off for the fabric mats. Once the mats are ready, click the green Continue button to send the pattern to your machine. 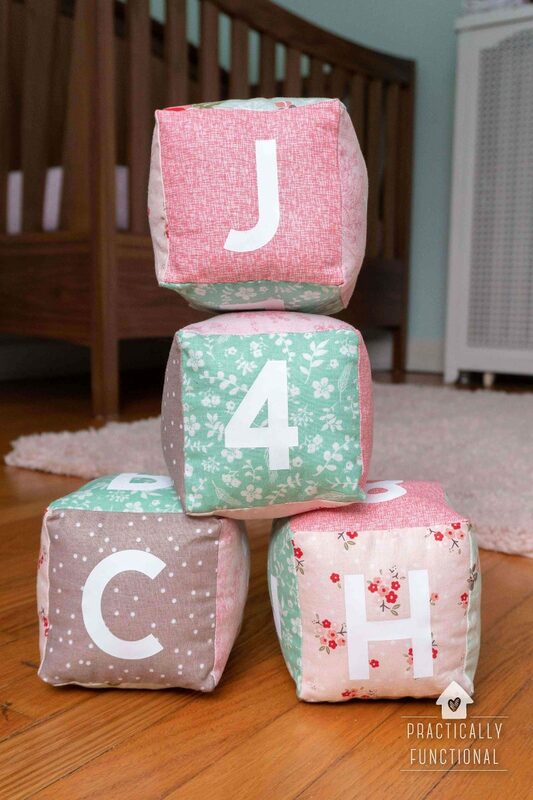 Make sure the material is set to “iron-on” for the mat with letters and numbers, and set to “cotton” for all the other mats. 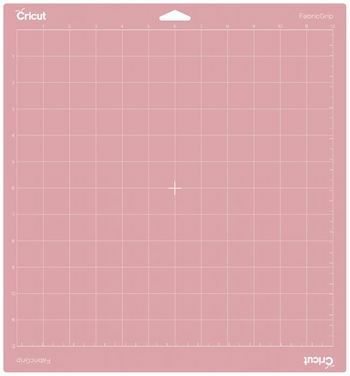 Then Design Space will walk you through the cutting part, just follow the on-screen instructions. 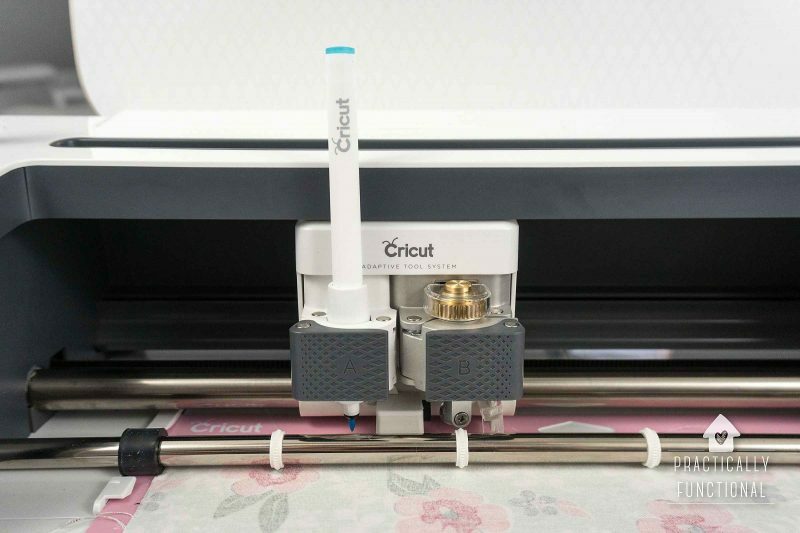 You’ll want to switch to the rotary blade and add the washable fabric pen in the accessory clamp before cutting the fabric mats. 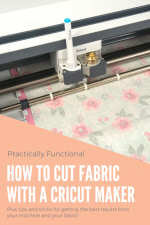 You can see more details about how to cut fabric with a Cricut Maker in this post. 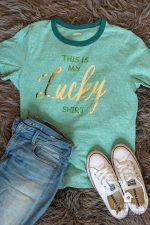 Once the fabric and iron-on is all cut, weed away the background iron-on vinyl (leaving the letters and numbers on the plastic backing) and then cut apart all of the different letters, numbers, and shapes. 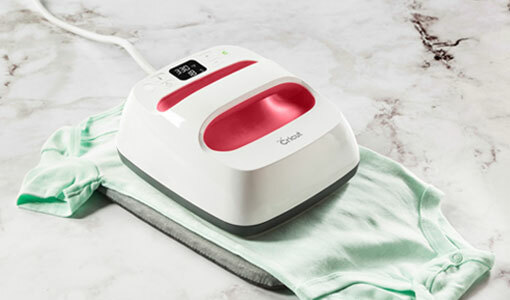 For applying iron-on to cotton fabric, set your EasyPress 2 to 315 degrees. Once it’s heated, pre-heat the fabric for five seconds. 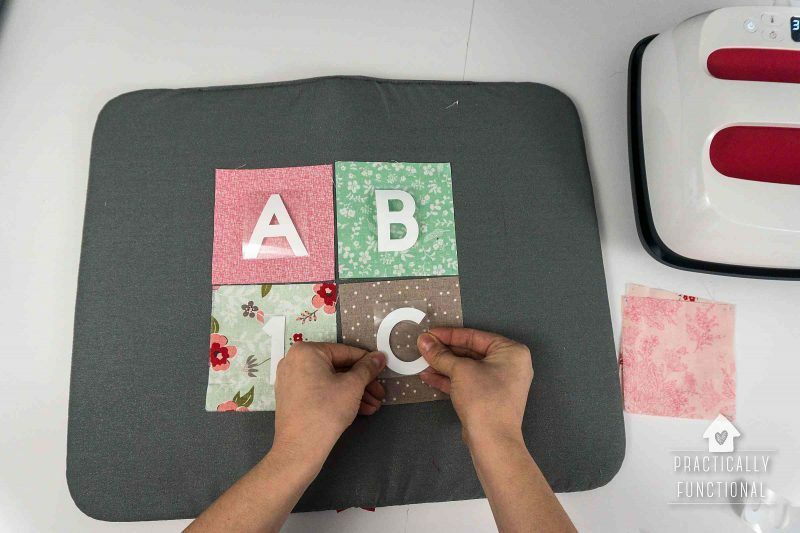 Then position the letters and numbers on the fabric squares and press with the EasyPress 2 for 30 seconds. 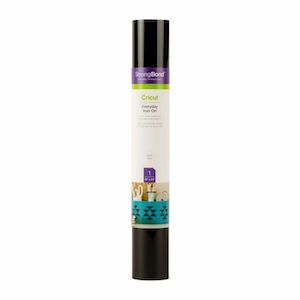 Flip the fabric over and press again from the back for 15 seconds, then peel away the plastic backing from the vinyl while it’s still warm to the touch. 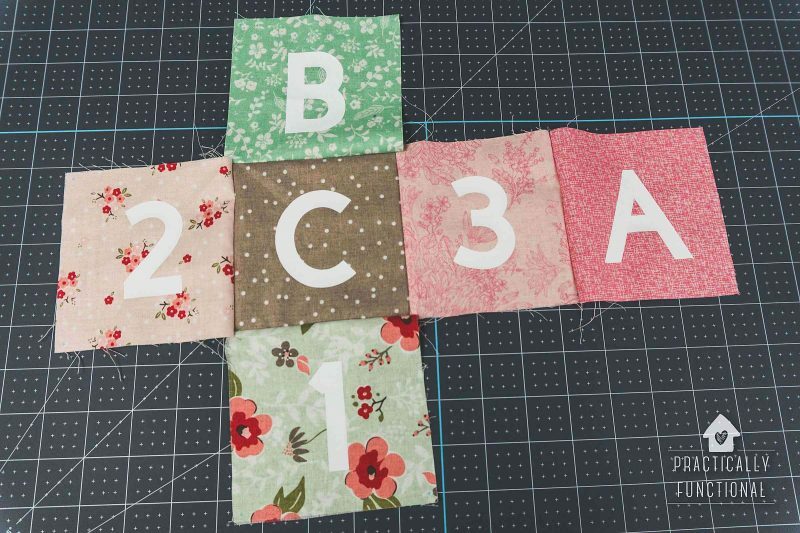 Once all of your fabric squares have a letter, number, or shape on them, you’re ready to start sewing! Sew the squares into a cross shape with one arm that has two squares instead of just one. 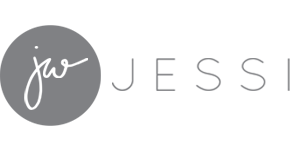 This is the basic starting shape for each block. Then fold the center block in half diagonally (in the photo above, fold the “C” block diagonally), right sides together, so that block “1” is on top of block “3” and block “2” is on top of block “B”. 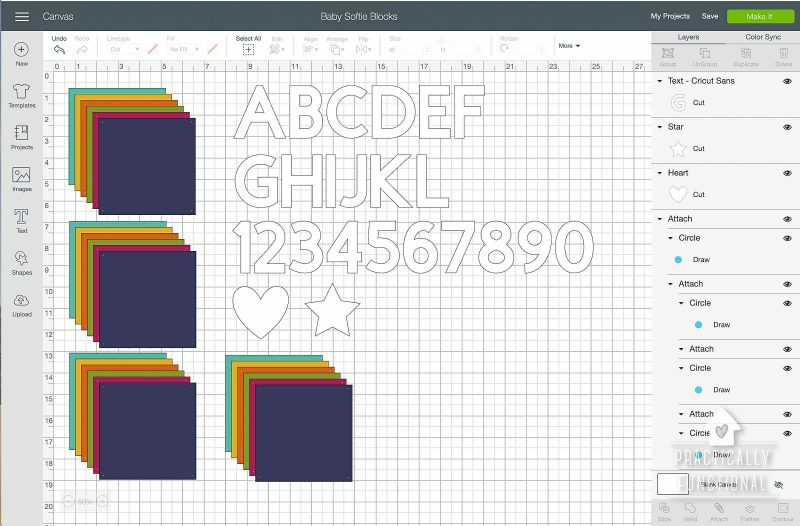 Make 2 side seams of your cube by stitching along the edges of block 1+3 and 2+B (bottom edge of 3 lines up with right edge of 1; left edge of B lines up with top edge of 2). Once that is sewn you should have an open box with a floppy “lid” (block “A” in the photo above). 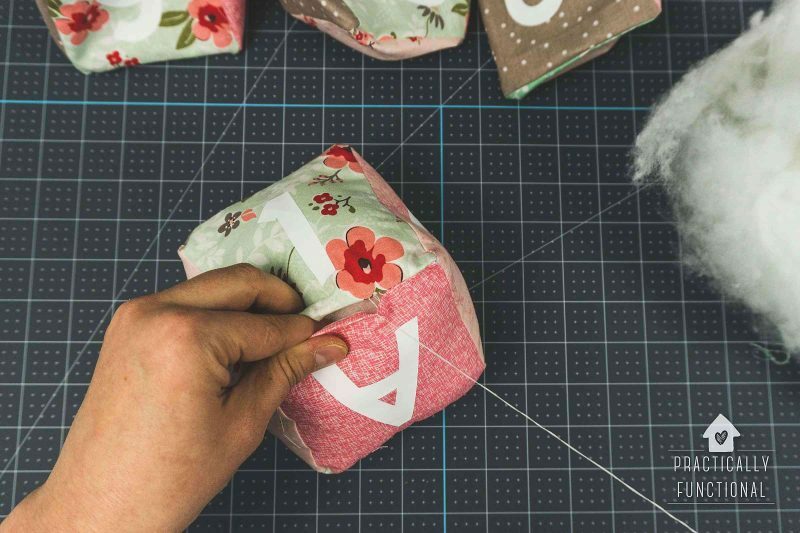 Attach the lid to the box by sewing two edges of the lid to two sides of the box, leaving the third seam open. Turn the box inside out through the open seam, then stuff it full of batting. When it’s as full as you want it, whipstitch or ladder stitch the opening closed by hand. Repeat for the other three blocks and you’re done! 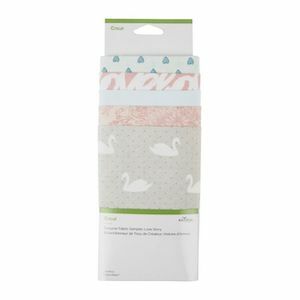 Give them to your baby and let her enjoy! 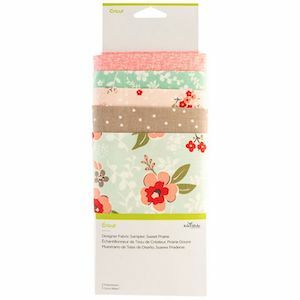 Or wrap them up as a gift for a new mom in your life.